New York Times bestselling writer Brian Buccellato (Detective Comics, The Flash) and artist Toni Infante will launch a new story arc in their ongoing psychological horror SONS OF THE DEVIL this March. Previously in SONS OF THE DEVIL, average guy Travis discovered he had family ties to a deadly cult. 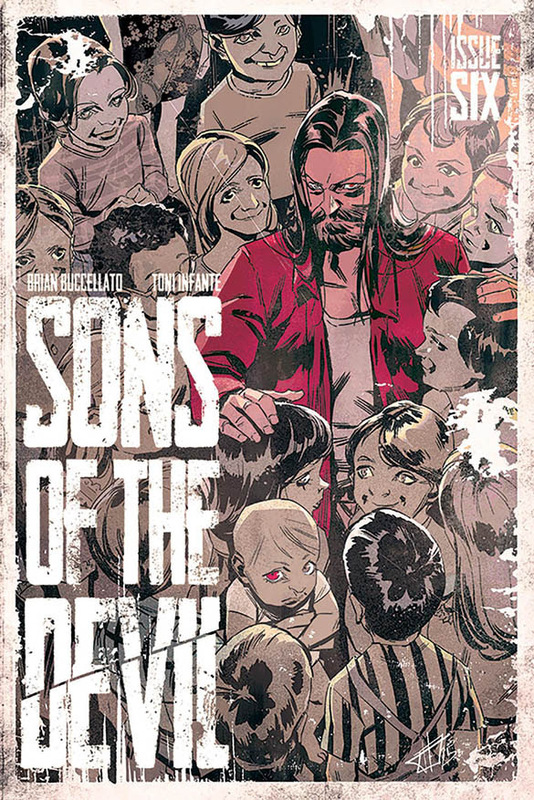 In SONS OF THE DEVIL #6, the second arc begins with Travis looking to reconnect with his biological family while his father, David, continues to assemble the pieces for his devil’s sacrifice. SONS OF THE DEVIL #6 (Diamond code: JAN160553) hits shelves Wednesday, March 23rd. Final order cutoff deadline for retailers is Monday, February 29th. Get caught up by reading the first arc Sons of the Devil Vol. 1 Trade Paperback.